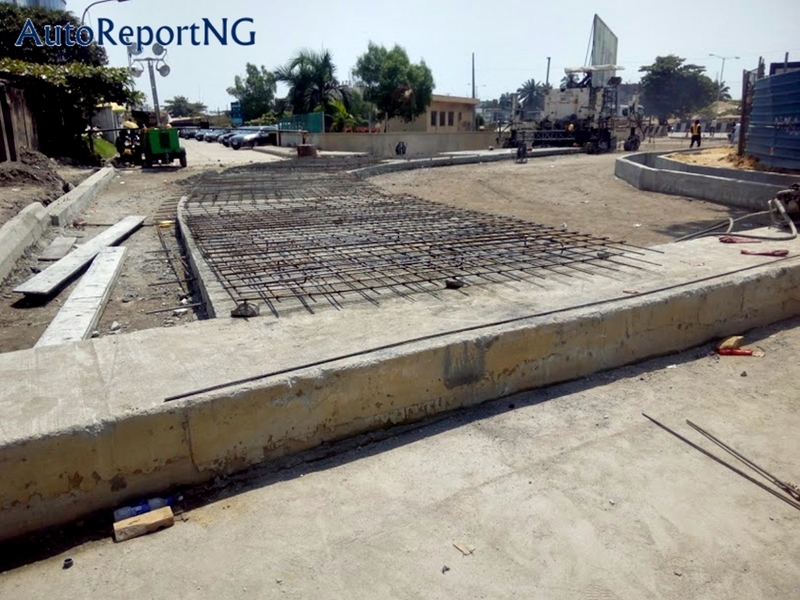 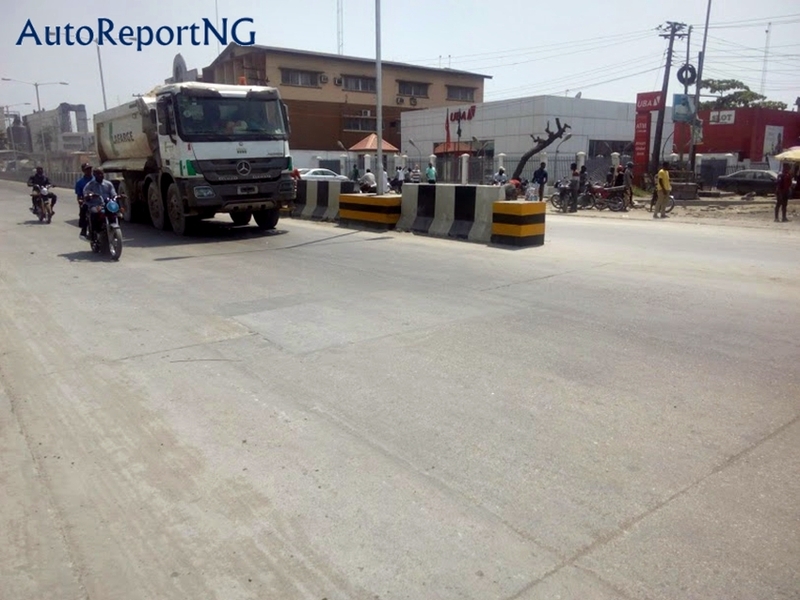 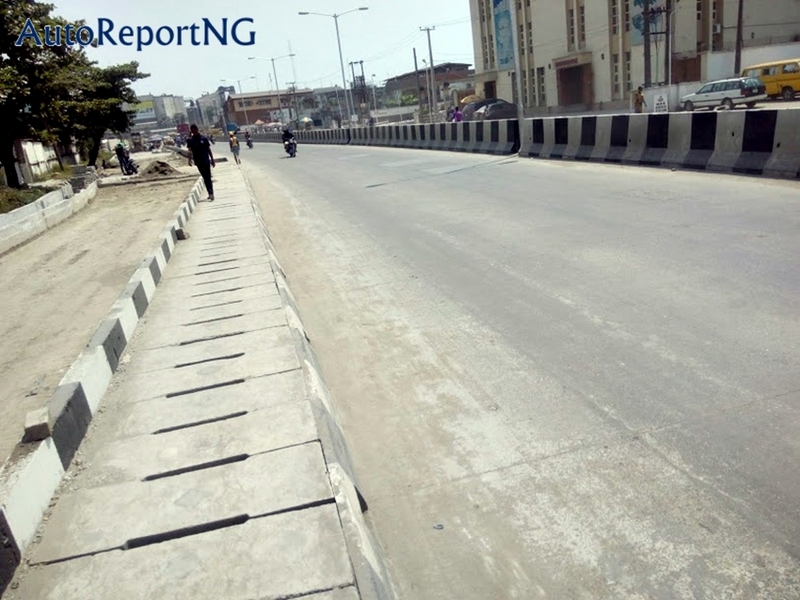 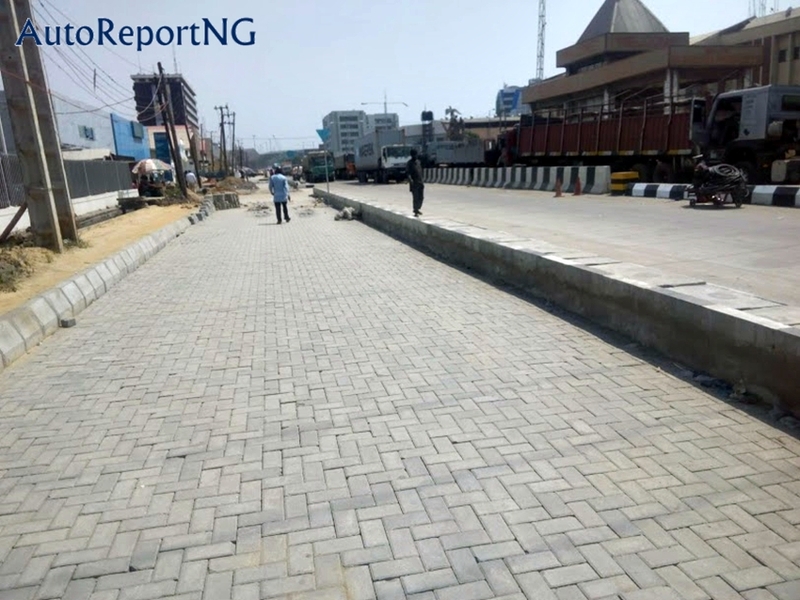 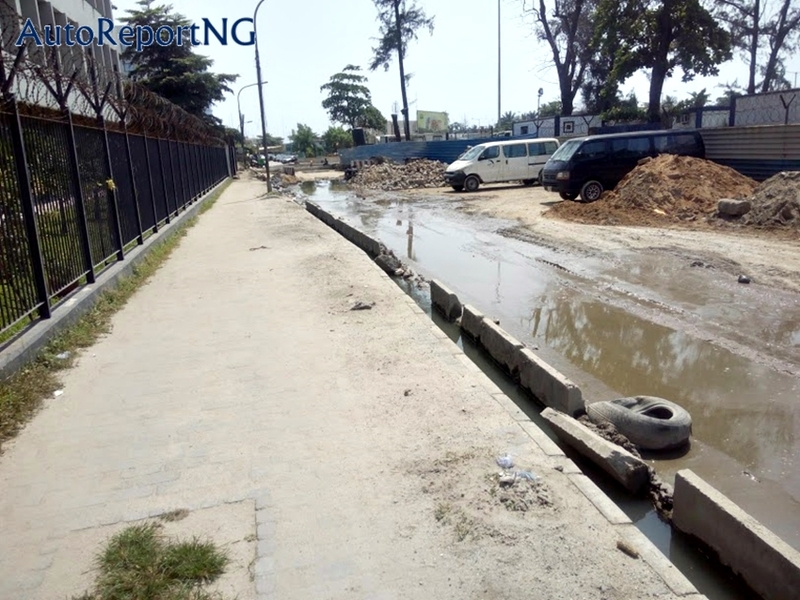 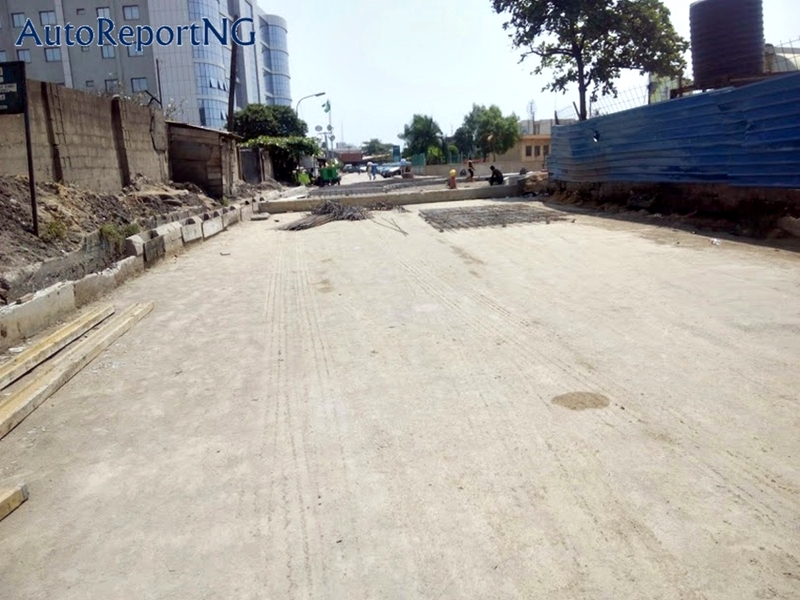 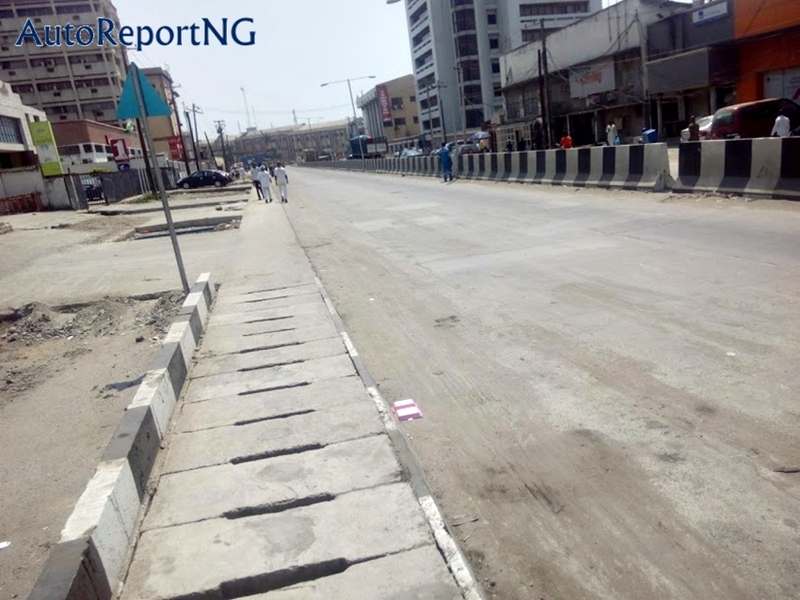 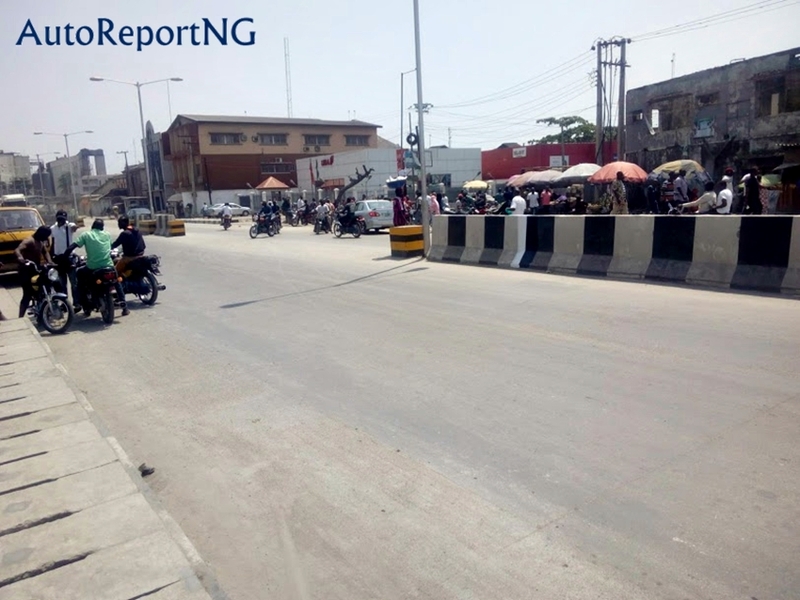 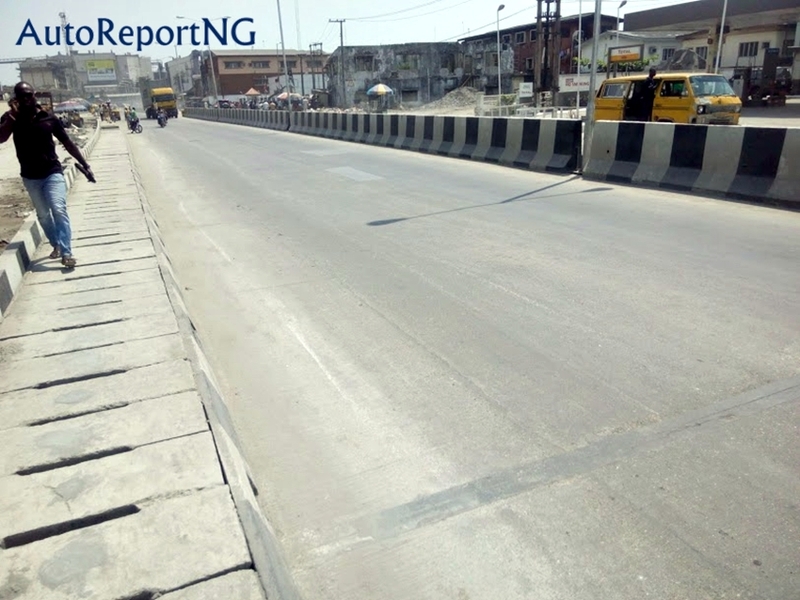 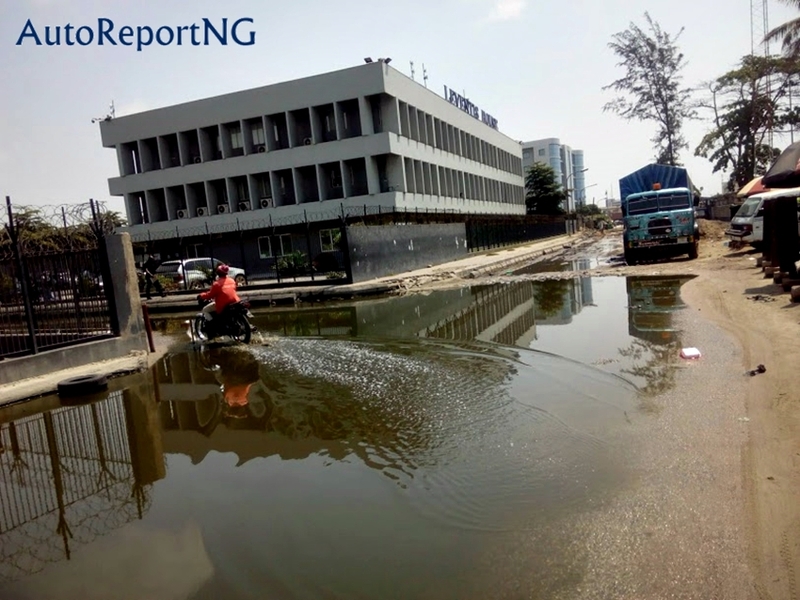 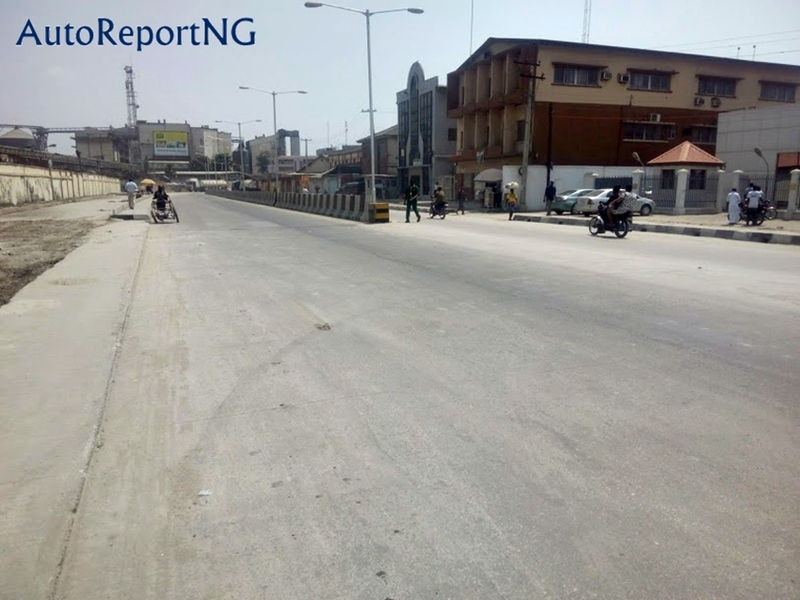 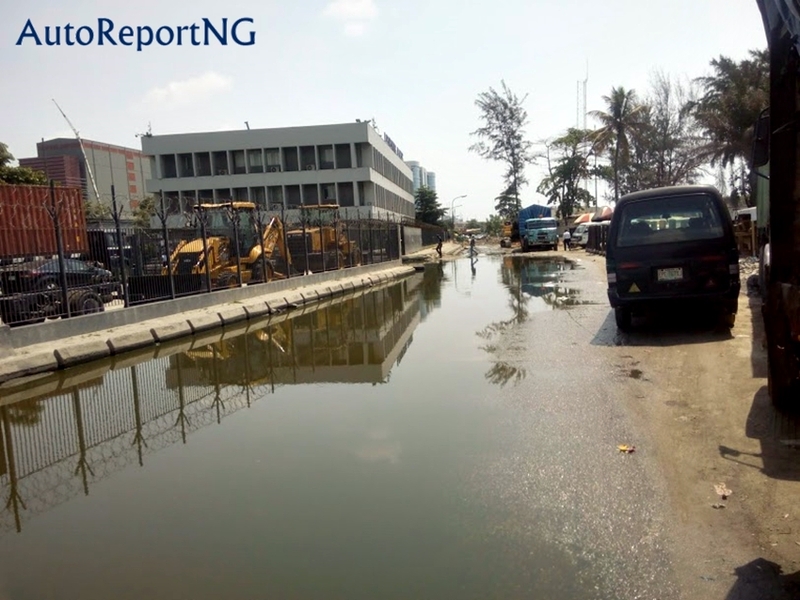 See The New Face of Apapa-Wharf Road Built By Dangote And Other Firms - Photos - AutoReportNG "AutoReportNG-The No 1 Car Blog In Nigeria That You Can Trust - AutoReportNG"
Just like the Biblical phrase that says, "When the Lord turn again the captivity of Zion, we are like those that dream". 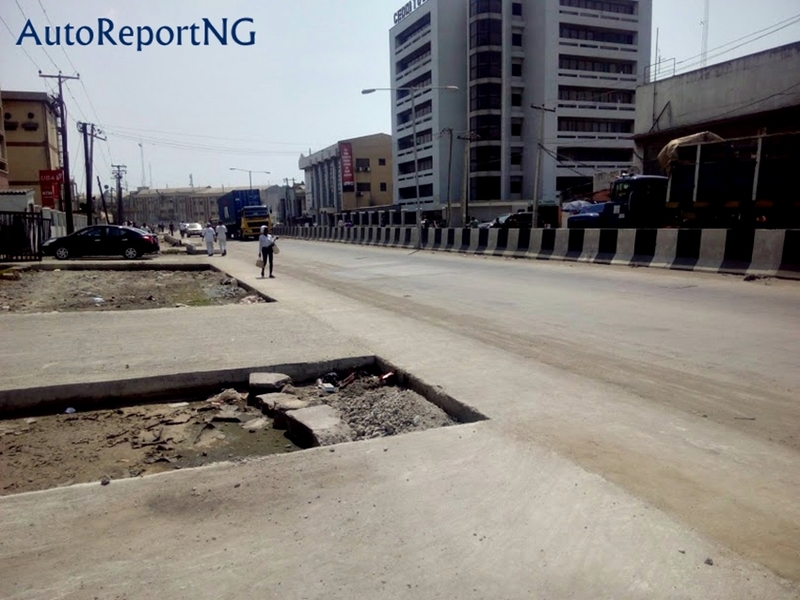 The same can be said of Apapa-Wharf Road. 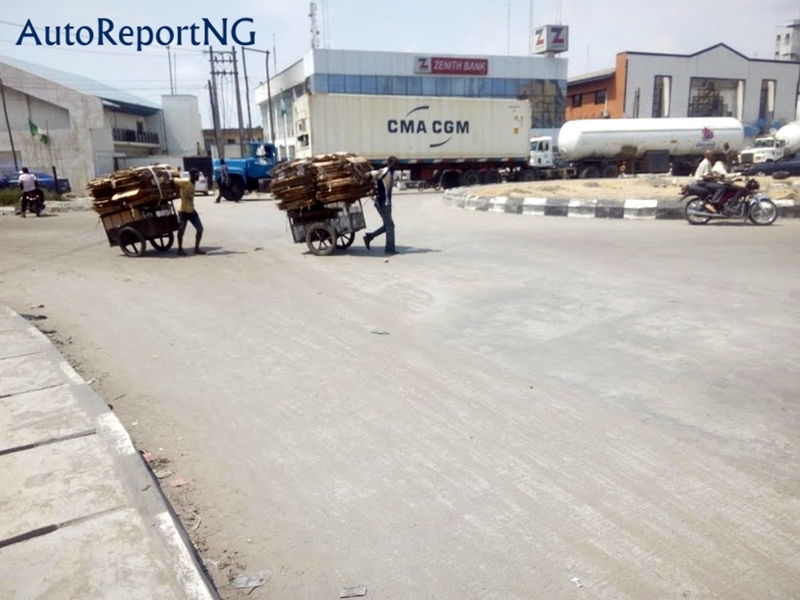 For the first time after a long time will a driver drive from Apapa Ports in Wharf and get to CMS in less than 20mins. 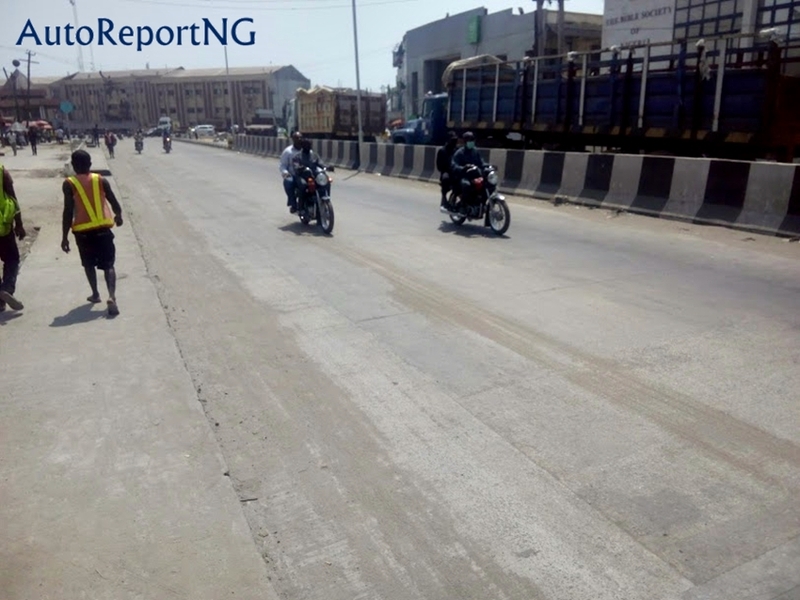 It was earlier reported that the Wharf-Apapa road is a death trap for all road users. 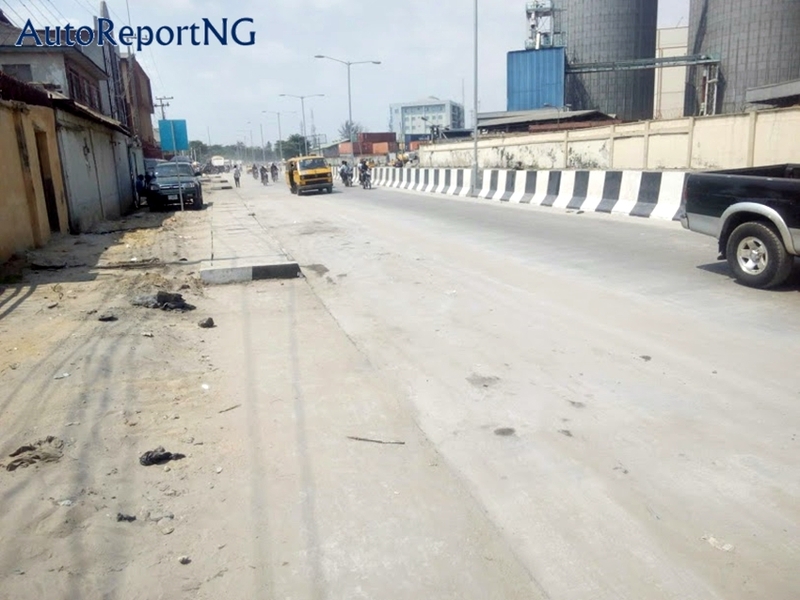 This road serves as the gateway road to the Nation's Seaport and it hosts several industries like Dangote, Flour Mills of Nigeria, Leventis and a host of others. 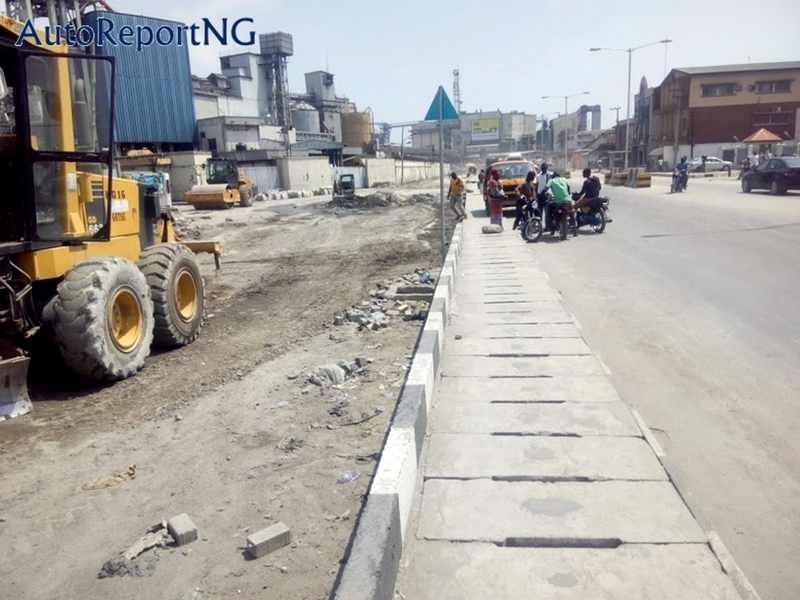 Last year the companies spearheaded by Dangote, Flour Mills, and other industries signed an MOU with the Federal Government to reconstruct the roads while the government gives them a tax holiday. 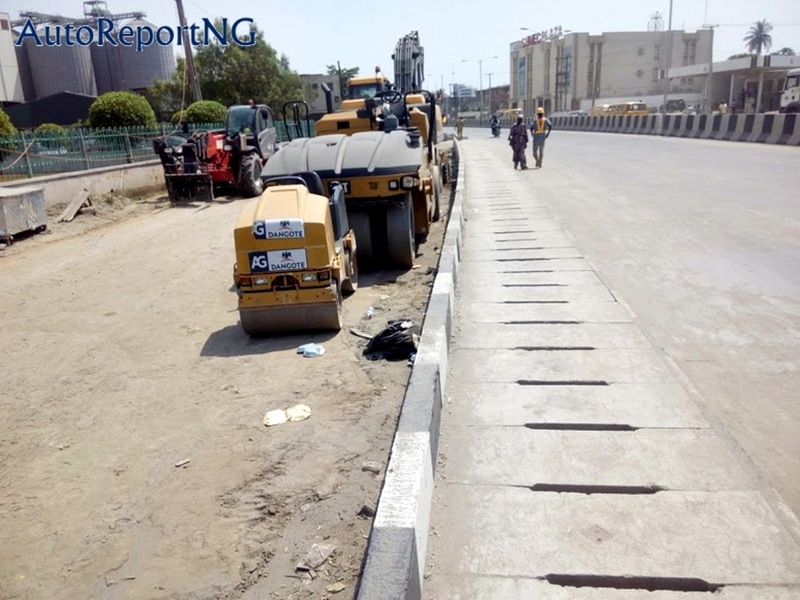 AutoReportNG was in Apapa last April to access works being done where we give first-hand reportage from the site. 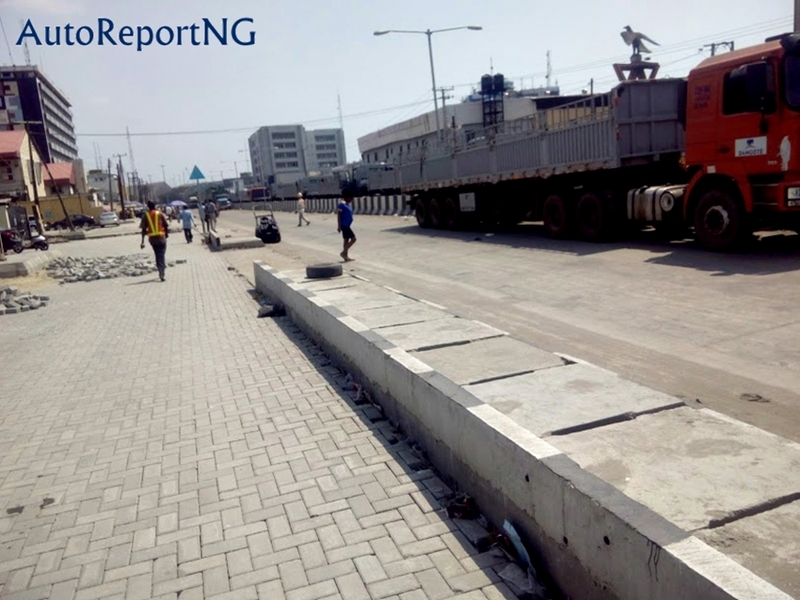 Fast forward to September, we start seeing some pictures of a new Apapa-Wharf Road and we felt as a responsible media outlet to see things for ourselves. 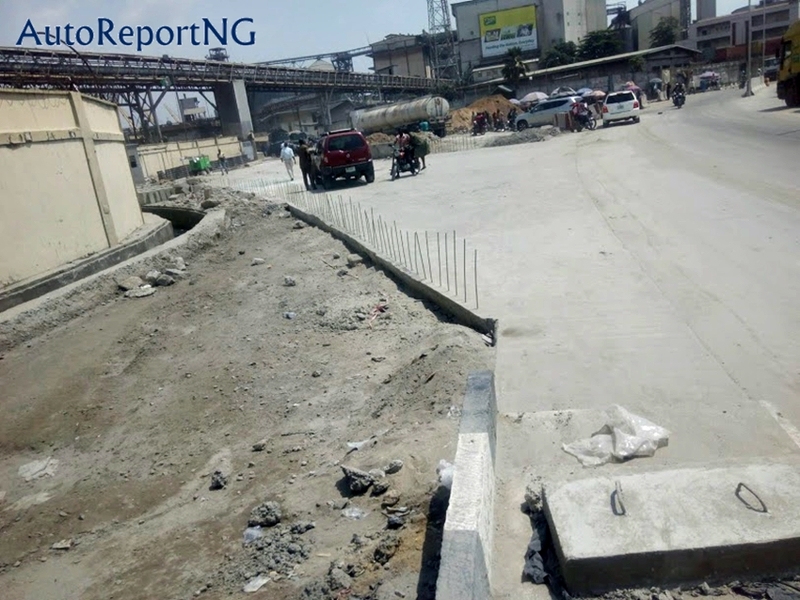 Base on our reports, we noticed that the four-kilometer dual carriageway, built with cement, has a median, walkways and side barriers on the various sections painted in black and white. 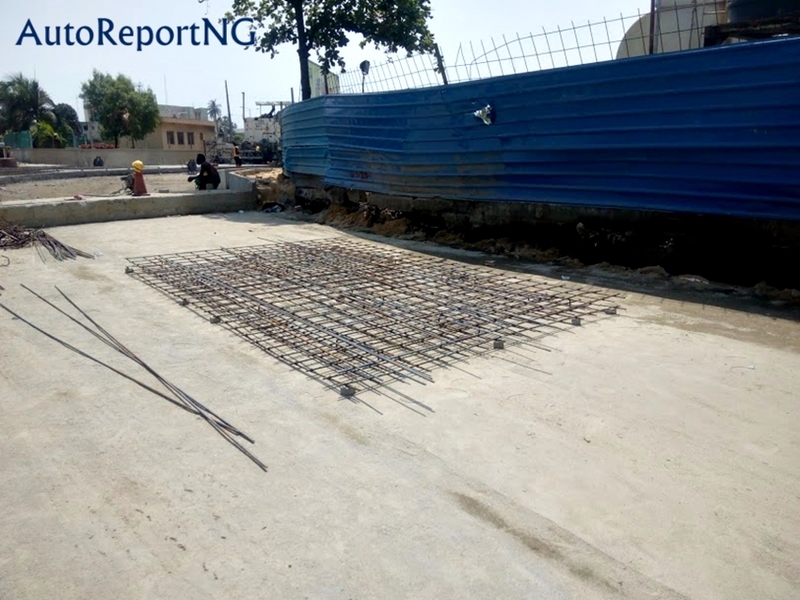 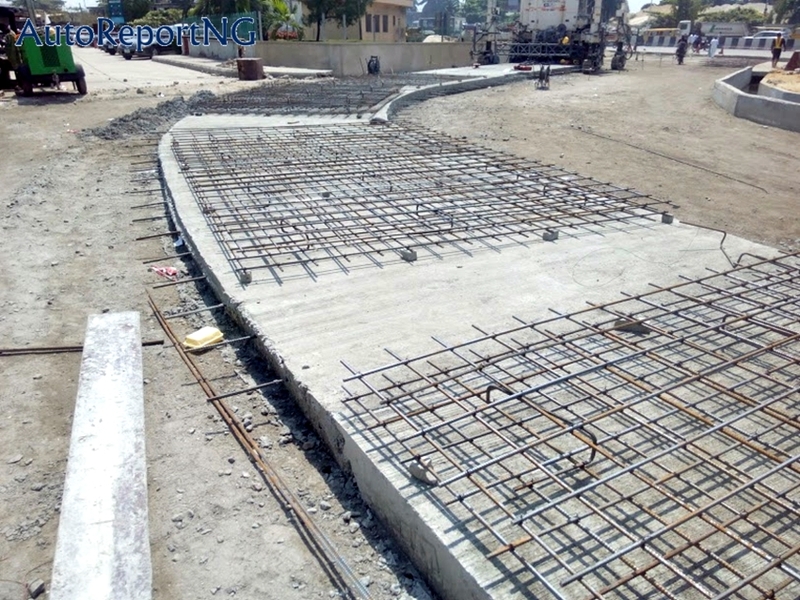 Big drainage on both sides has also been completed while street lights have also been erected on Sections one and four of the project. 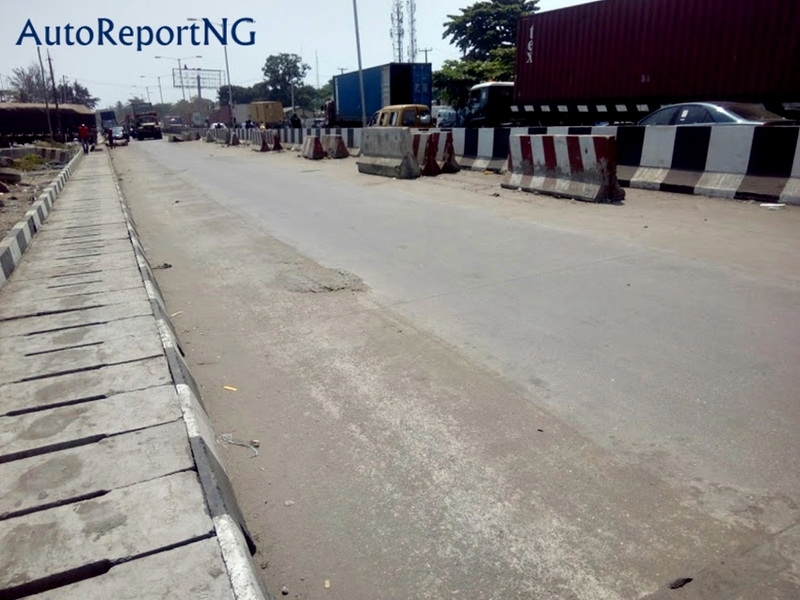 Interlocking stones are still being laid on about three-quarter of the service lane of out-bound Apapa dual carriageway. 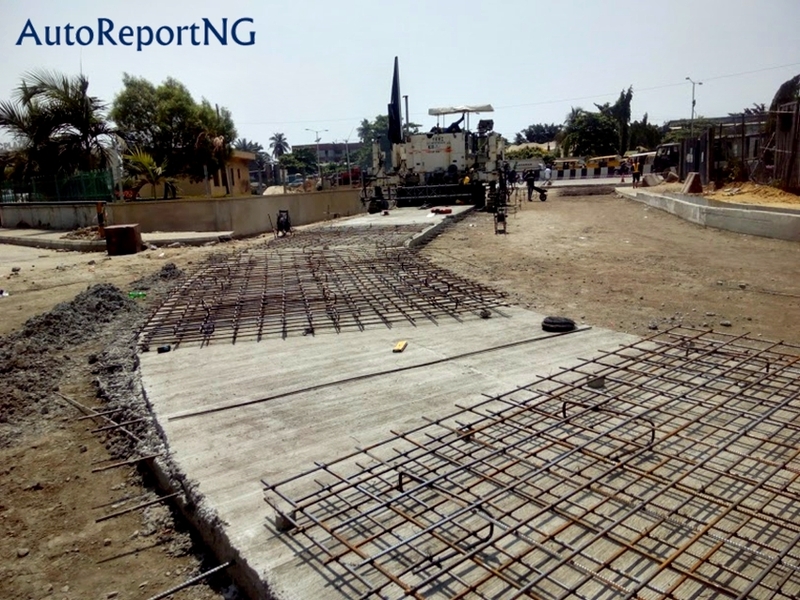 Section one of the project is 520 meters, section two is 450 meters, three is 380 while section four is 650 meters. 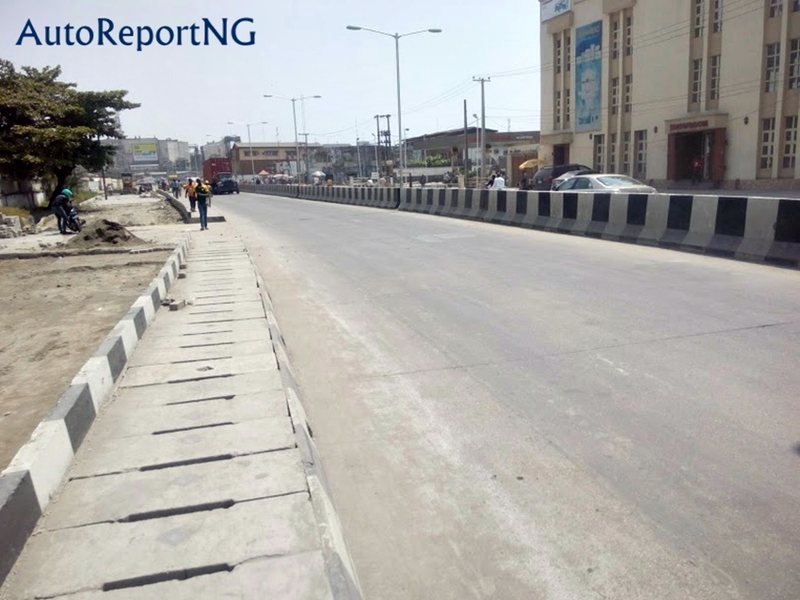 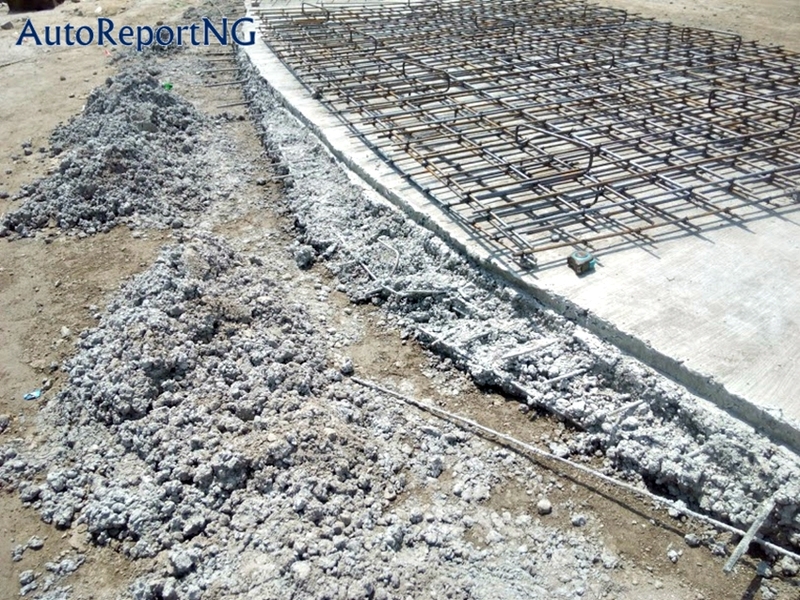 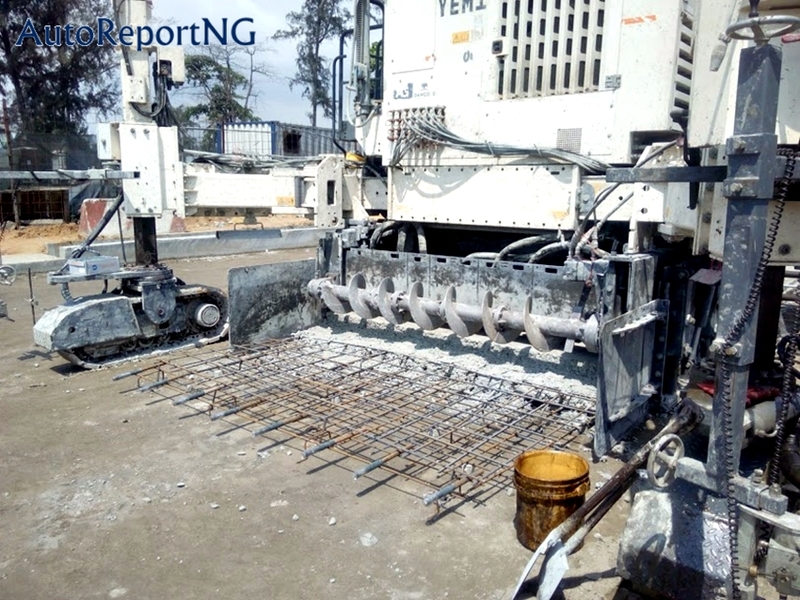 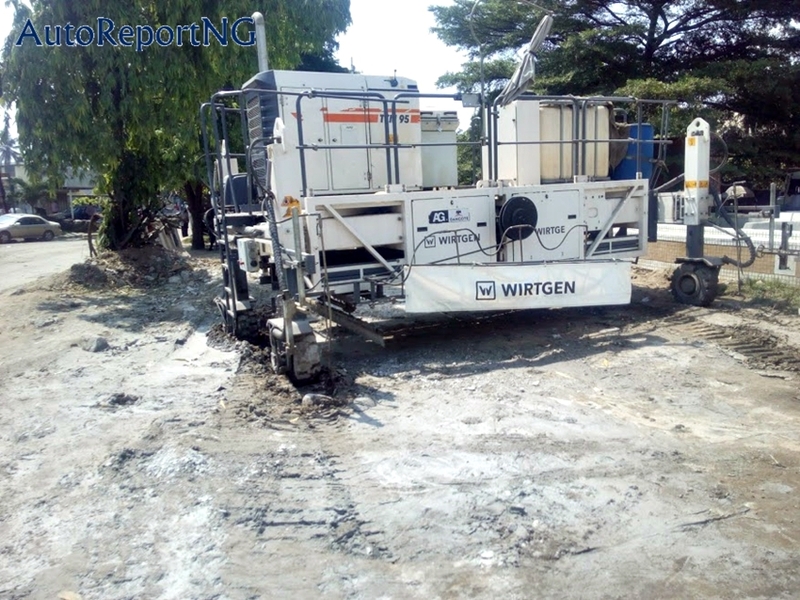 We can report that the road is 85% completed with some minor adjustments still ongoing at some various points but so far, its a new dawn on this road. 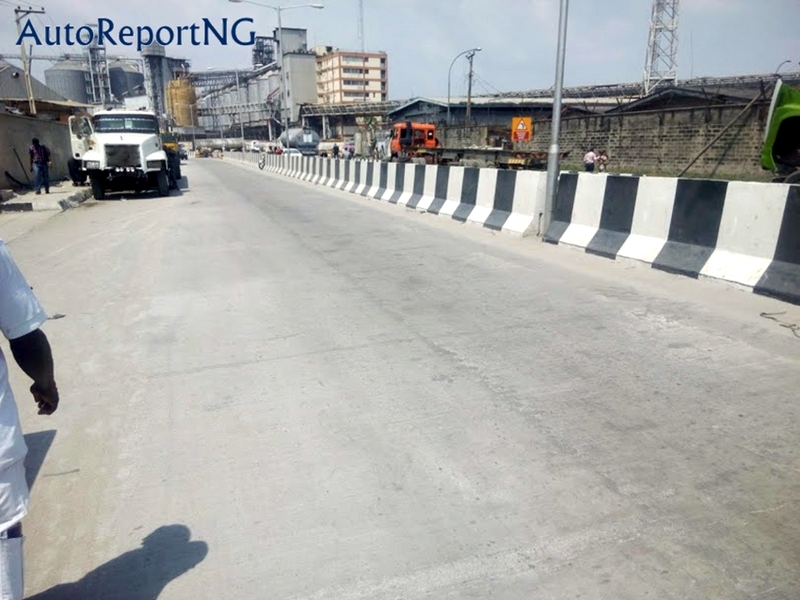 The Minister of Power, Works and Housing, Mr. Babatunde Fashola, had on June 17, 2017 signed a N4.34 billion Memorandum of Understanding (MoU) with AG Dangote Construction Company Ltd and some other stakeholders for reconstructing the Apapa-Wharf Road. 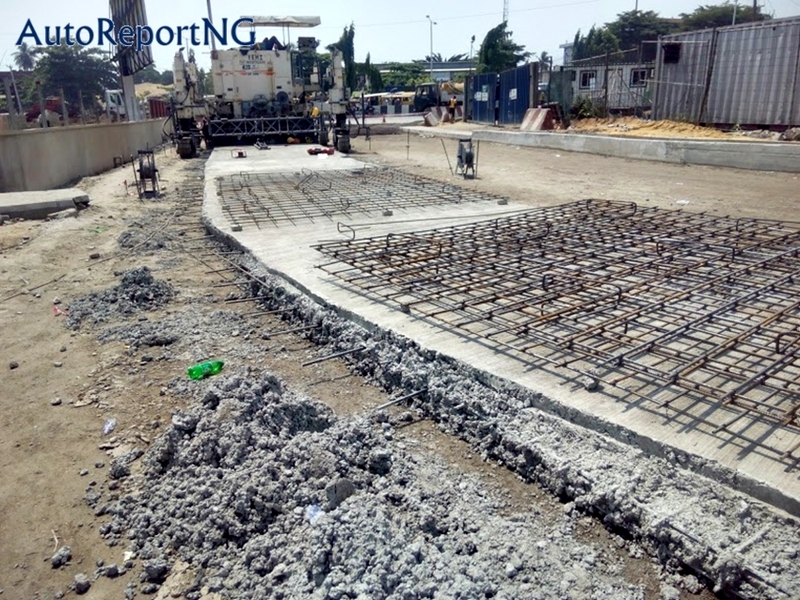 The project is being funded by AG Dangote Construction Company Ltd, the Nigerian Ports Authority (NPA) and Flour Mills of Nigeria Plc. 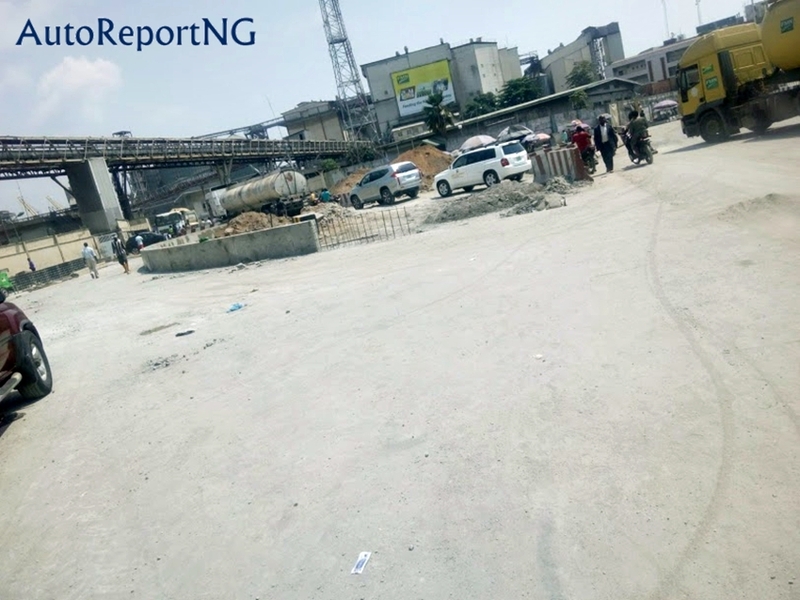 These are some visuals from our trip.